L-R Atty. Daniel C. Gayebyu, Deputy Minister for Administration, MICAT, Mr. Peter Quaqua, President, WAJA and Mr. Charles B. Coffey, Jr. President, PUL, taking oath before their presentation. Monrovia, July 2, 2018)- Public hearing for the bill seeking the repeal of anti-free speech legislations in Liberia took place Monday at the Legislature. The bill titled, an Act to amend the Liberian codes revised, penal law of 1978, seeks to decriminalize speech offenses in Liberia. The event was held on Monday, July 2, 2018 at 10am, in the Joint Assembly Chambers of the Legislature on Capitol Hill. Speaking at the hearing, the President of the West African Journalists Association (WAJA), Peter Quaqua urged the 54th Legislature to scrap the anti-free speechlaws which silence individuals and institutions. “In most cases, government uses defamation laws as a weapon to silence, harass or bully the press. We implore you to please declare these laws scrapped and nonexistent as they do not deserve a room in a democracy,” Mr. Quaqua stressed. Mr. Quaqua said Liberia has reneged on its obligation to repeal criminal deformation after ascending to international protocols which demands free speech. “Our country violations of human rights including press freedom are well documented. Criminal defamation/ label laws as restrained in the penal code of Liberia don’t only contravene the Liberian constitution, but fall short of our country’s obligation under international human rights standard as espoused in various treaties protocols or declarations as it were”. The WAJA President insisted that the decriminalization of defamation in Liberia does not licensed the willful and intentional maligning of people in erroneous news reports. He indicated that such cases must “be considered civil matters with financial rewards based on reasonable estimates of actual damages as well as a media’s ability to pay, among other considerations”. Prohibitive rulings, like the 1.5 million lawsuit against Frontpage Africa in 2013, the former PUL President lamented are nothing but an attempt to stop the media institution or journalist from doing their work and therefore amounting to official censorship. A Liberian Court in 2013 slammed Frontpage Africa with an excessive 1.5 million fine in a libel case involving former Agriculture Minister Chris Toe. Speaking on behalf of MICAT, Deputy Minister for Administration, Atty. Daniel C. Gayebyu noted that MICAT is in full support of the passage of the law indicating that the National Legislature needs to act faster. He said for the fact that the bill was resubmitted by President Weah shows how this government has interest in free speech and freedom of the press. For his part, PUL President Charles B. Coffey, Jr. told the hearing that the repeal of the anti-free speech legislations in the Liberian Penal Law will ensure total press freedom in the country. Mr. Coffey cited former President Edwin Barclay’s Seduction Law of 1932 used to clampdown on dissent during the infamous Fernando Po Crisis. The PUL boss intimated that the current seduction regime profiles the country negatively and urged the legislature to remove such segment of the law because it violent human rights. At the end of a week-long visit to Liberia in February, the Special Rapporteur on the promotion and protection of the right to freedom of opinion and expression, David Kaye, said the new administration’s commitment to freedom of expression in Liberia deserves the strong support and encouragement of all sectors of Liberian society and the international community. Liberia, he indicated has come a long way since the civil war, and the space for open and indeed vibrant debate in the country is remarkable. At the close of Monday’s public hearing, the Chairman of the House’ Joint Committee on Information and Judiciary, Jay Nagbe Sloh assured the journalism community in Liberia and the public that the bill will be passed on by the house today, Tuesday and transmitted to the Senate for concurrence. “President George Weah has placed this ball in our court. His name will go down in history; at least- he has played his part. If those of us in this building who should be protecting the rights of the people don’t pass this bill, President Weah has placed this ball in our court”. 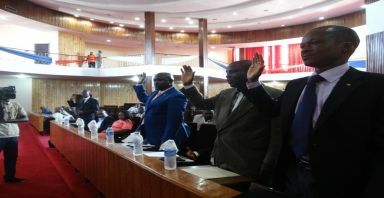 President George M. Weah recently resubmitted the bill to the legislation after attempts to have it pass during the Administration of former President Ellen Johnson Sirleaf failed. 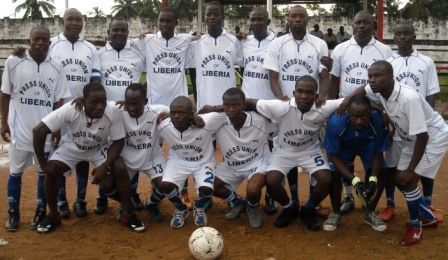 Liberia will be the second country in West Africa to decriminalize deformation with the first being Ghana in 2001.